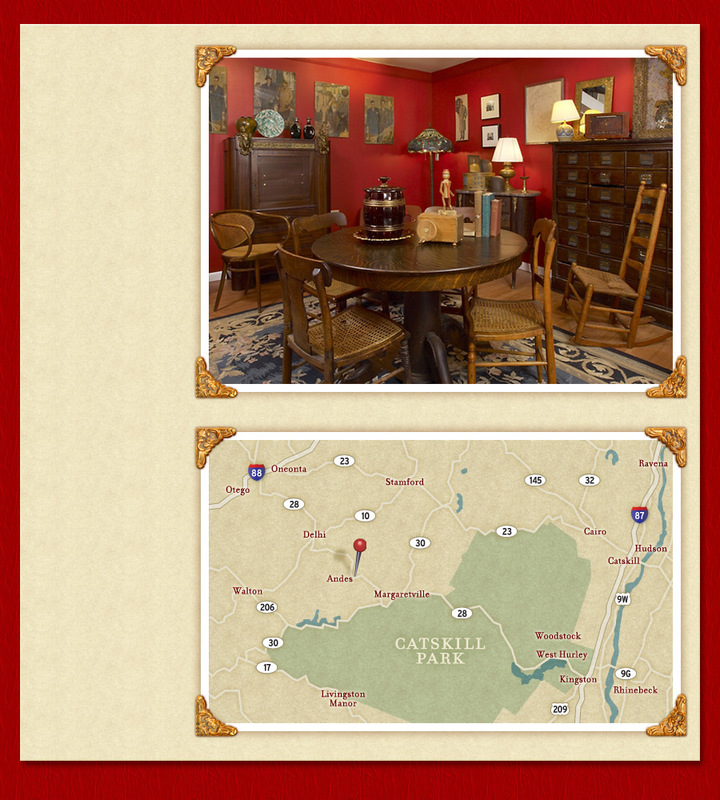 Andes Art and Antiques is a great source for fine art and antiques, located on a Catskill mountaintop in the hamlet of Andes, New York. We carry unusual American art and antiques, furniture, books, jewelry, and fine art from Picasso to Currier and Ives. Proprietor Merna Popper grew up down the street from the MOMA in New York with a great love of art. She weekended at an 18th century farm in Vermont where she lived and breathed Antiques. She brought her loves with her to Andes in 19XX. With a population of under 400, Andes is a hot spot for art and antiques shops. Located in Delaware County, New York, it is a three hour trip from Manhattan. Just an hour from Woodstock, it makes a great day trip into the beautiful Catskill Mountains. Delaware County is filled with charming bed & breakfasts, inns, and motels to suit your needs. It is home to various galleries and performance spaces. Antique stores, contemporary theater, and music festivals abound.